Curated By eGrabber. This Blog Hosts Expert Webinars And Training Material For B2B Sales & Marketing. 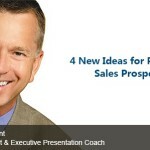 I have deep expertise in enabling B2B sales, marketing & recruiting professionals reach ideal prospects. I love helping them be leaders in their company and their industry. eGrabber, the company I founded 15+ years ago, makes Targeted Prospect List-Building Tools for use by Sales & Recruiting professionals. Quick Summary – Best image size to upload for LinkedIn blog is 600 x 322 pixels (or 2x ). However, for best sharing experience, use only the center 560 x 282 pixel for image. That’s because LinkedIn randomly crops out 11 to 20 pixels on all sides, depending on device it is rendering on. My frustration – Every time I uploaded an image for posting, I found issues with images being chopped, in what appeared to be random fashion. When I did get the image to look nicely in article such as this, the image seems to be randomly chopped when i view it in my profile or when it is shared in other people’s profile. Also the images appeared different on my iPhone 7 as opposed to my desktop. (see image below of different ways the same image appears on different LinkedIn screens). I Googled and found a few blogs with Guidelines.. none of the advice seemed to work with the new LinkedIn layout. It looks like LinkedIn changed the way images are being posted & shared, when they changed all other User Interface elements in 2017. Image size requirements are different for Articles, Posts, devices etc – I found there is a different optimal header image size for posting Articles such as these, and different requirement for doing direct posts. In this post I am addressing image size for LinkedIn blogs & articles, such as the one you see above this article. LinkedIn chops Images when sharing – Just because the image looks great above, doesn’t mean it will look the same when LinkedIn shares on other peoples screens & devivces it…. it turns out, when LinkedIn share your post on your profile, activity log or devices such as iPhone; they display the image at different aspect ratio than it was created in. That is means, anyway you slice things you will end up losing original visual content. There is no way to get around cropping. (Talking technical – aspect ratio for desktop posting of the image seems to be 2.0,but the aspect ratio of the image displayed when creating content for the post is 1.86). If you are constructing image in paint and saving as JPG, start with image 2x larger (1200 x 644). You get a more crisp image on LinkedIn desktop. If you have links & tips that can help a person adding image to their LinkedIn blog post – can you share in comments below please. I know what I shared is very basic info. Grow your LinkedIn network by 2+Million … in two weeks! Do you engage customers & users who shift jobs? …… I list 4 reasons how this gets quick sales. LinkedIn’s way of handling photos continues to baffle and frustrate me! THanks for this indepth investigation. It makes me crazy! © 1999 - 2019 | eGrabber Inc. All rights reserved.